I’m so excited that spring is FINALLY here – is it just me, or did it feel like forever in getting here? 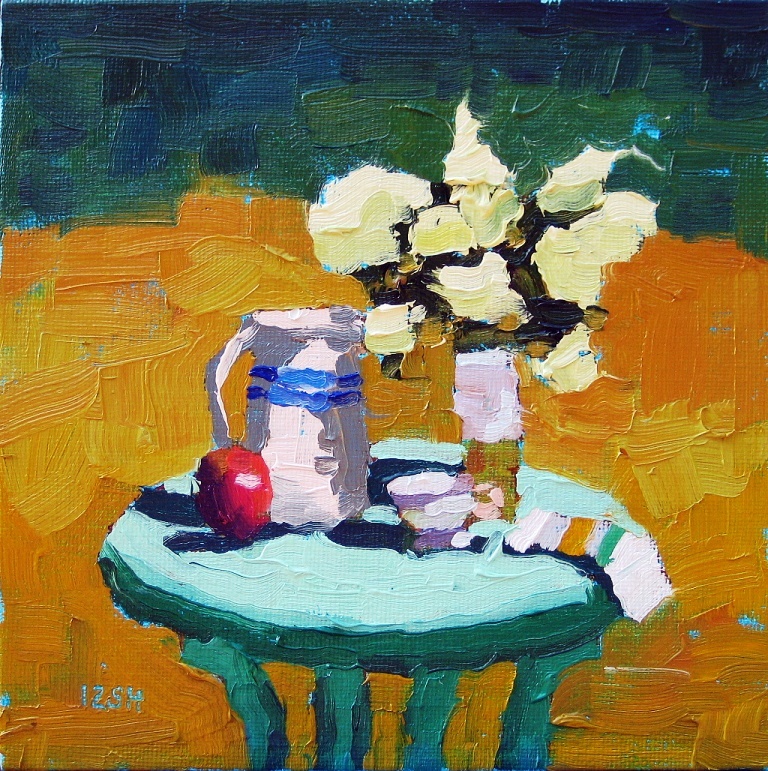 Here’s a little still life that I set up in my back yard where I could see it from my studio. I will be back soon for an exciting announcement of where you will be able to purchase my art in the very near future.